‘Tis the season . . . for asparagus! Every time I go into the store there are piles and piles of the beautiful green spears staring back at me just waiting to be a tender spring dinner. Asparagus is in season from February to June with the peak coming around April. You can get asparagus year round but it is usually the best price and quality while it is in season. Everybody in our family loves asparagus so we look for lots of simple ways to prepare it during the season. 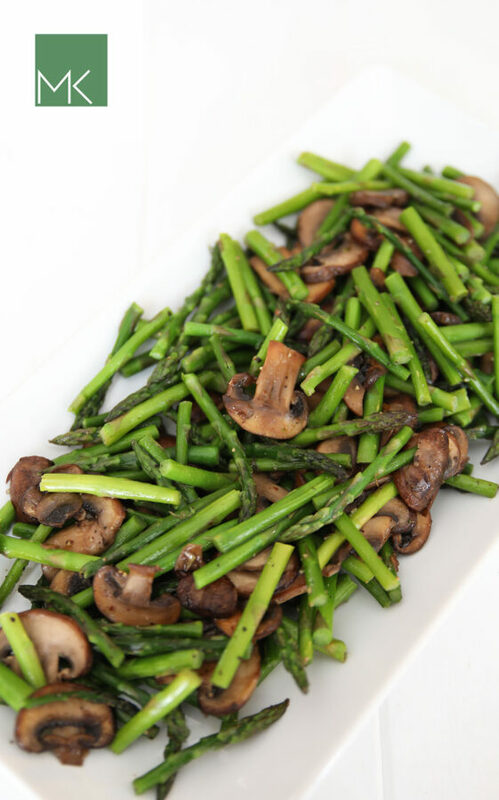 This quick sauteed asparagus and mushrooms is pretty much the definition of simple! Size: I like to look for asparagus that is about the width of a pencil. Bigger asparagus is more mature and may need to be peeled. 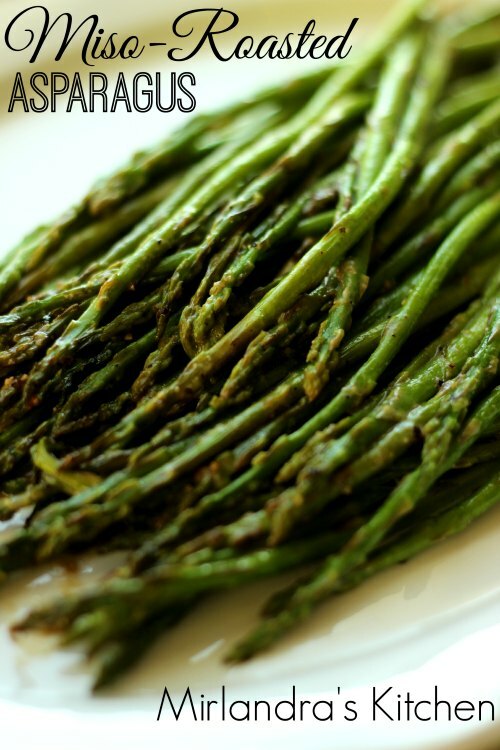 Keep in mind that when asparagus is harvested the sugar quickly converts to starch. This means you loose some flavor and get a more woody texture. If you have the chance to buy from a local farmer or grow your own asparagus you can get much better quality since you can purchase it right after harvest. Color: The spears of asparagus should be bright green with a bit of violet tinge or color to them. Texture: The stems should be firm and not limp. The stalks should stand up straight. Look for tips that are closed and compact, similar to a paint brush. If the tips are more open and spread out that bunch is starting sprout and you don’t want that. If the stems and tips are at all mushy or slimy just walk away! That asparagus is going bad and is not worth it at any price! Do not wash the asparagus before putting it in the refrigerator. Ideally you want the bottom of the stems to stay moist while the tops to not get wet. Trim about 1/2″ off of the ends of the stalks. Put 1″ of water in the bottom of the jar and place the cut ends of the stalks into the water. Cover the spears / jar with a plastic bag and store for three to four days in the refrigerator. If this is not an option you can cut the ends and wrap them in a wet paper towel. Place the spears with the wrapped ends into a loose plastic bag and store in the vegetable drawer. 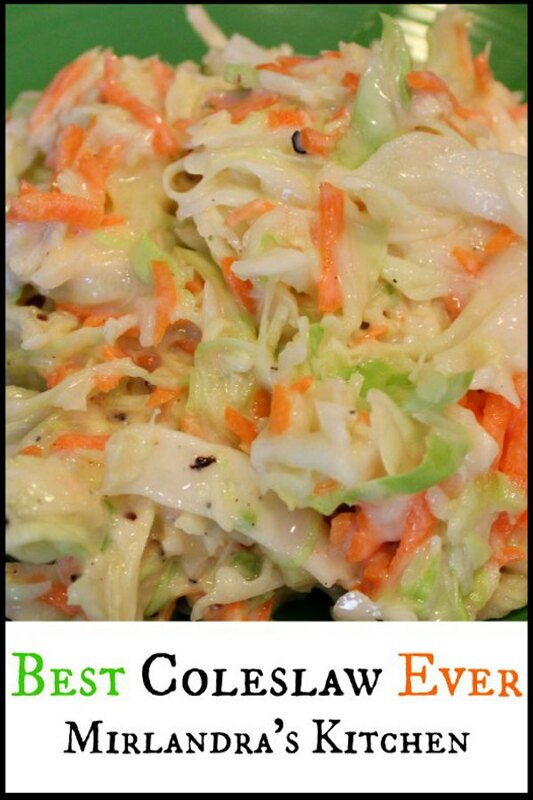 You will loose some flavor with this method but it is a reasonable option. 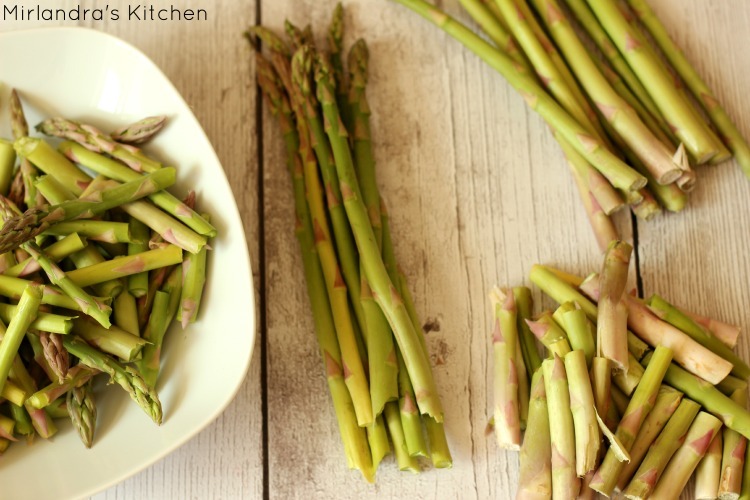 How Do I Prepare Asparagus For Cooking? Preparing Asparagus for cooking is easy to do. Look for the line where the spear turns from white at the bottom to green. Simply grasp the spear in both hands and snap the bottom 1″ – 2″ off wherever this line is. Most people dispose of these ends as they are tough and fibrous. After you are done snapping off the ends you can break the spears into the size chunks you desire. If you want a faster option, just slice the bottoms off of the spears where the the stalks change color and then slice the spears to the length you like. If the asparagus is very thick it may have a tough skin. In this case some people choose to peel the skin off of the stalks. I try to buy smaller asparagus instead and save my prep time for something else. The tips of the asparagus always go bad first. If the tips turn a very dark green / black and get mushy or slimy the asparagus is bad. The stalks or stems will also start to discolor some. If your asparagus starts to smell or feel slimy it is time to toss it in the trash, hold a funeral, and head back to the store for more! Can I Leave Out The Mushrooms? I know mushrooms are not everybody’s thing. You don’t have to put them in. Cooking should be about you and the food, about what clicks for the people you are feeding. Adapt, experiment, try something new but at the end of the day find your way of making a dish. “Mushrooms need a shower, not a bath.” – Julie Thompson. People clean mushrooms lots of different ways. The best is to wash them in cold running water and then actually put them in a salad spinner to get them as dry as possible. Sometimes when I’m in a hurry I wash them and just towel them off a bit and then slice. Other cooks use a damp paper towel or a mushroom brush to wipe each mushroom one at a time before coking them. I owned a cute mushroom brush once. I think at some point I gave up and tossed it into the trash. I never could get over having a brush for ONE VEGETABLE. Basically if you do want to brush your mushrooms use something with soft bristles. Mushrooms do not need to be peeled but you can trim the bottom of the stem and discard. I only do this if the stems look dry, pink or funky. Basically my rule of thumb is that if it doesn’t look like something I want to eat I slice that part off. Do not soak mushrooms. You don’t want them to absorb any extra water. It is best to clean them right before you cook them. I do suggest keeping in mind that “pretty food” is a fairly modern and partly American idea. Just because it doesn’t look “Instagram Ready” doesn’t mean your food is ready for the trash bin. What is the best way to slice mushrooms? We eat pounds and pounds of mushrooms every month. I LOVE my Westmark slicer. It is a fast and easy way to do a big pile of mushrooms. I also use it for strawberries and hard boiled eggs. There are a lot of other kinds of mushroom slicers available. This one is sharp and all metal. Avoid the ones that are made with plastic. They don’t hold up well. You can also use a knife or buy pre-sliced mushrooms. I try to avoid buying them pre-sliced unless I plan to cook them that day. Buying anything that is already sliced causes it to go bad faster. Mushrooms are very nutritious. They have a lot of B vitamins in particular. The are considered valuable for your heart, for red blood cells and even healthy skin. 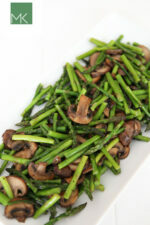 Sauteed asparagus and mushrooms is a wonderfully simple recipe that takes a few minutes and minimal ingredients. It is one my 10 most popular recipes year after year! Asparagus is a great vegetable that can be prepared easily for a quick weeknight dinner side or served on Valentine’s Day or Easter. Snap or cut the root ends off of asparagus spears and then snap or cut each spear into pieces 1"-3" long. In a large nonstick pan, add butter and mushrooms. Sprinkle on a little salt. Fry on medium - high heat until mushrooms are golden brown in color, about 1 minute. Remove the mushrooms to a plate but leave the any remaining butter in the pan. Add asparagus, and water. Sprinkle additional salt (at least 1/8 tsp.) and grind in some pepper. Saute the asparagus on medium high for about 2 minutes until it is bright green and slightly softened. If you bite a piece and it has a slight chew/crunch but is still mostly soft it is done. 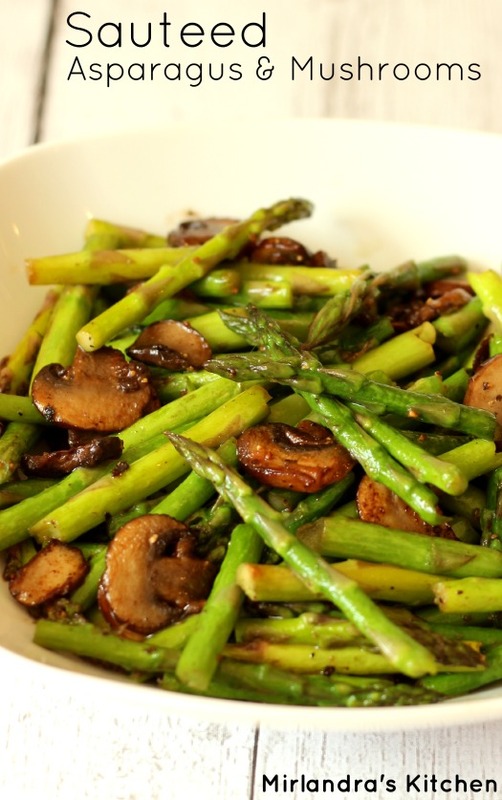 Want to try another easy asparagus recipe that is a little different but still simple? Give this Miso Roasted Asparagus a shot. I’m sorry, Debra. There are three images on the page that can be pinned. Sometimes programs just have a glitch. One option is to visit Pinterest and check out my Best of MK board. I have the pin for this recipe loaded up there: https://www.pinterest.com/pin/342906959103956977/ I hope that helps! Oh what a great idea. My hubby would love this. We’ve had asparagus twice this week and love it. Gonna try it soon. Thanks for sharing with us at Weekend Potluck. I can never get enough good asparagus! Will definitely try this recipe tonight. 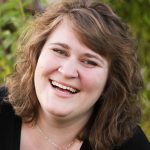 Thanks, Valerie, and welcome! You made me smile this morning. Made this and added garlic salt instead. Sooooooooo good. Oh that sounds wonderful! Great tip. If you are a Trader Joe’s shopper they just released a new Onion Salt recently that has lots of flavor. It is a neat combo of several onion / garlic items and we are loving it. This recipe was yummy, love mushrooms. I had leftover boiled red potatoes and added it at the end. Will definitely be doing this again. ooooo that sounds GOOD! You are making me dream of that for dinner. A nice red potato tossed in sounds amazing. So glad you enjoyed it! You are most welcome! I think there are a lot of people who dislike or even hate cooking and I would argue that many of them just need the right recipe 🙂 It has to be something that fits your style and makes food you value! Glad this was a winner for you. I have to say simple and I get along very well in cooking! Made this tonight. It was delicious and quick and easy! I .will definitely prepare again. Love your blog. Hi Wendy! Thanks so much for taking the time to let me know. I LOVE simple recipes that taste like you worked really hard! It just makes dinner time that much better 🙂 Glad this was a hit! Can you use canned mushrooms for a low potassium diet? Hi Judy, I’m not a nutritionist so I don’t think I can give you professional diet advice. However, I looked up the values online and it looks like mushrooms have about the same amount of potassium if they are canned or fresh. For flavor I always use fresh mushrooms if I have them on hand but I also keep some cans of mushrooms in the pantry just in case. Just drain them and add to the recipe as written and they will actually fry up nicely in the butter and get a great flavor. I find I can get some really nice mushrooms doing this – much nicer than I would expect from a can. As to the nutrition information maybe you know something I don’t. Good luck figuring that out! Thanks! I have high potassium, and raw fresh mushrooms and canned mushrooms are lower potassium. Cooked fresh mushrooms are high. This is similar for some other foods. For example raw spinach is lower, but cooked becomes high! It’s crazy! Thanks Judy – that is very interesting and I’ve not run into it before. Nutrition is fascinating in general. Thanks for sharing! I made these mushrooms and asparagus for dinner tonight and added them to a mozzarella quesadilla and it was delicious!! Thanks for your recipe. Oh my gosh that sounds amazing! Thank you for sharing – I have to do that soon!